After a few rousing chants of “free the spores,” a small group of roughly 20 citizens filtered into the Denver city and county building Monday for a meeting with city officials and emerged knowing they may soon have the all-clear to gather signatures on a measure to decriminalize psychedelic mushrooms. A 2005 appeals court decision in New Mexico effectively legalized the cultivation of psilocybin. Last year, Oregon reduced possession charges for many illegal drugs from a felony to a misdemeanor. California voters approved a similar measure in 2014. Another state may beat Colorado to the ballot: California may vote on a similar measure later this year. 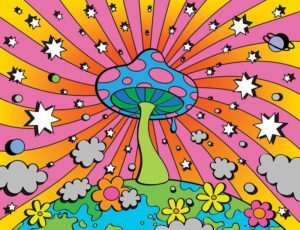 Although to the uninitiated any drug identified as “psychedelic” conjures up visions of wild-eyed naked hippies running through the forest in hot pursuit of elves/gods/whatever it is they’re seeing at the time, in truth the effects of psilocybin mushrooms are quite mild with little to no danger of lethal overdose or addiction. It’s certainly nothing you would want to operate machinery under the influence of, but on objective scale of public safety hazards, magic mushrooms rate low enough that in the era of legal marijuana it’s just not something to get worked up about–not to mention the benefits some users cite from consumption. If this passes, the next generation of hippies might have yet another reason to include Denver on their gap year world tour! Please trip responsibly. Hell no! . . .
. . . “like Peter Tosh say, legalize it”!! Is there a mushroom-based equivalent to Reefer Madness? This is going to send Moderatus into a tizzy. Nope it just proves again what I've always said about Colorado Pols. Lawless druggies and liberal trash. Turn Denver into Amsterdam for all I care, I live in the suburbs. I know. Only members of the Gross Old Perverts who sexually harass people and crazed gunmen should be allowed to be above the law and live consequence free. Ha! You call that living? Of course Nutlid would reject science. Why use something natural that works when we can keep these souls addicted to prescription drugs?!? We're in this odd situation where one of the most promising therapies also happens to be a Schedule 1 substance banned by the [Drug Enforcement Administration]," said retired Brig. Gen. Loree Sutton, who until 2010 was the highest-ranking psychiatrist in the U.S. Army. "… wild-eyed naked hippies running through the forest in hot pursuit of elves/gods/whatever it is they’re seeing at the time,.."